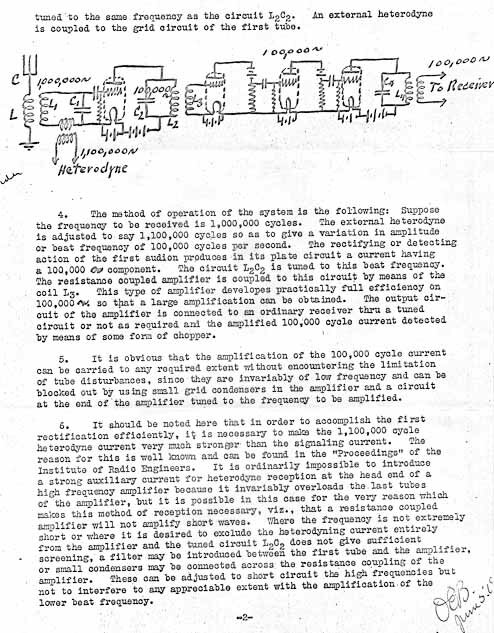 Armstrong's second great discovery - the Superheterodyne. 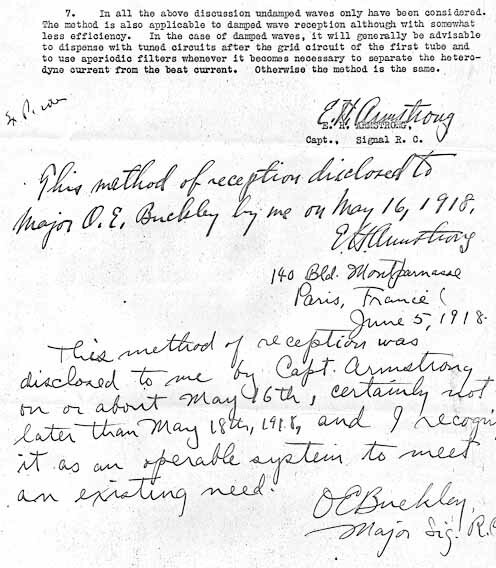 This is a copy of the original disclosure to the Signal Corps. 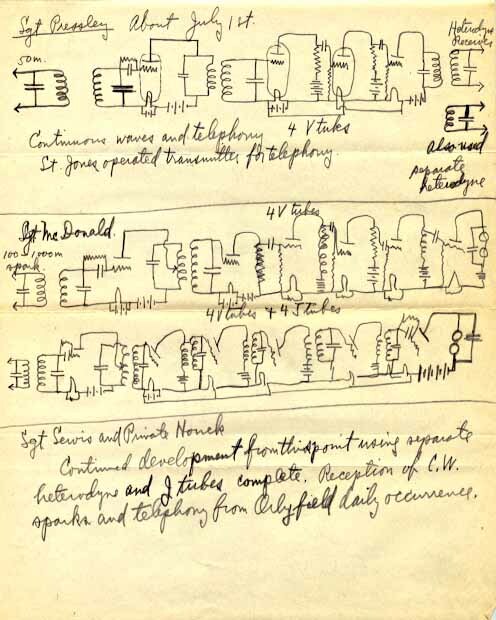 By the date of these drawings, R&I Division personnel would have been putting a great deal of time into Armstrong's superheterodyne prototype. 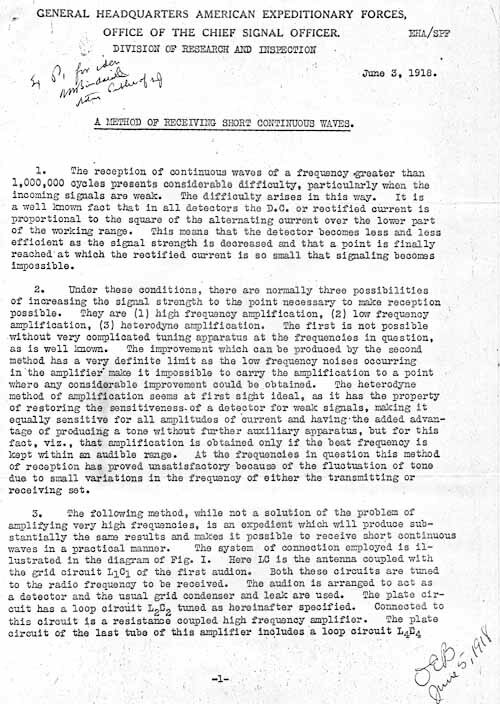 Pressley, McDonald, Lewis and Houck, known to be involved in the superheterodyne, may have generated this paper as part of that work.